So Publix has a Chocolate Ganache Supreme cake that my mom and I are IN LOVE with. I have this inner NEED to re-create it and make it my own. It’s chocolate cake with mousse filling and chocolate ganache icing. Ohhhhh it’s deeeelicious. Good thing my mom has more in the fridge! Anyways, I was going to attempt making it this past weekend but I ended up running into this recipe on Martha Stewart’s website. 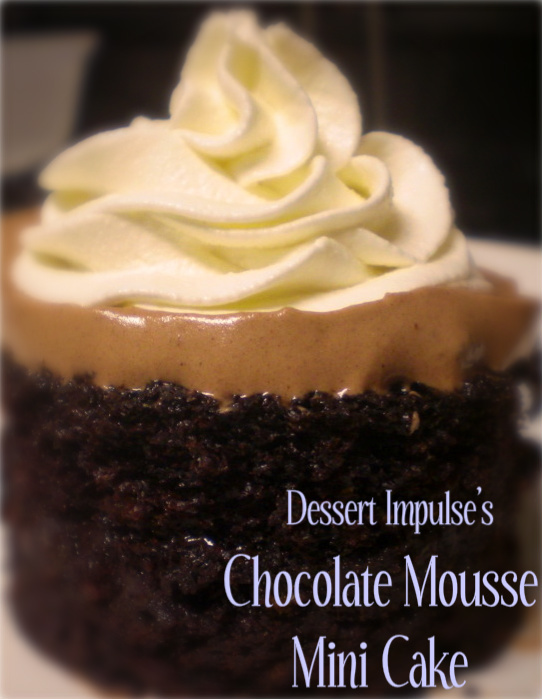 Triple chocolate mousse cake!! YUM! I made the first layer-chocolate cake and then the milk chocolate mousse and skipped the dark chocolate part. I made chocolate ganache icing and stuck it in between two layers of the cake. Then I made a white chocolate frosting that was amazing! Here’s the outcome!